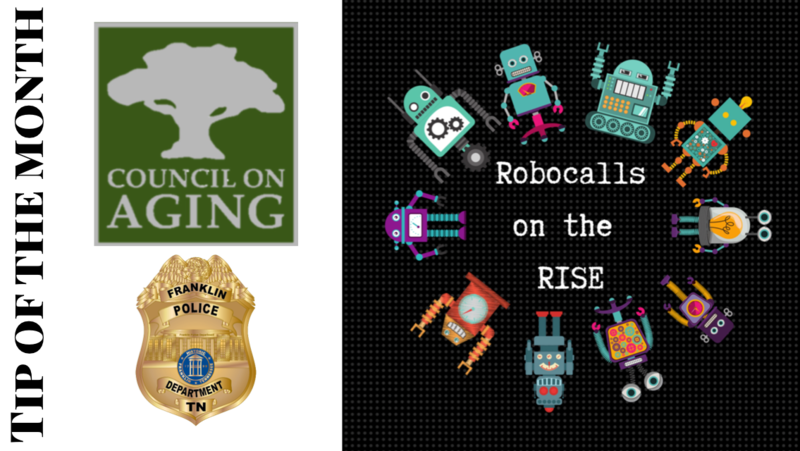 Did you know that during April in the U.S., 3.4 billion robocalls were placed?! At the very least, these calls are a nuisance, but for some they become a costly financial nightmare. The most recent robocall scam is called neighbor number spoofing. That means that the area code and the first three digits match your own number. Scammers hope that this trick will encourage you to answer the phone. Do not trust the Caller ID. Scammers can spoof numbers to make it look like the call is coming from a reputable company or even your own number. If you don’t know the number, it is best to not answer the call. Hang up! Do not follow directives. When you answer, you are validating that your phone number is active and will probably receive more calls. Check with your mobile carrier to see if they have an app or service that helps block robocalls. Some mobile carriers offer free apps and services to help block robocalls.